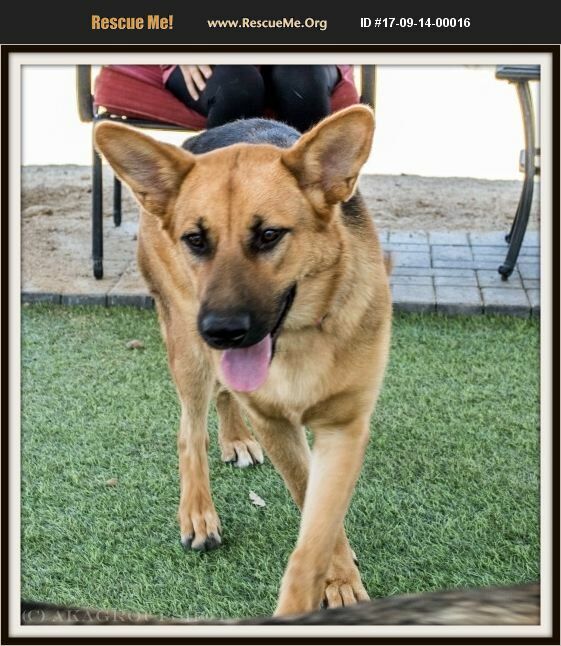 Playful Arya Is Looking for Her Fun, Furever Family 9 - month old, large, black-and-red German Shepherd Good with other dogs: Yes Good with children: Older preferred Good with cats: Unknown Arya is about as cute as they come. This playful pup will make a wonderful family member with her sweet nature and playfulness. She's got lots of energy, so a family that hikes, runs, walks or bikes would be a perfect fit for her. Arya's beautiful coat is soft and lush and she just loves to be petted. This girl loves every person she meets and wants nothing more than playtime and cuddle time. She's a young pup, so she'll need a family that is committed to plenty of mental and physical stimulation. She's very smart and is a quick learner and aims to please. So, continued obedience training will be an enjoyable experience for her and her adoptive family. With Arya's energy level, we'd recommend older children who won't get knocked over. This girl doesn't quite know how big she is and loves to run like the wind. She's learning to play ball and gets so excited when the volunteers take her out for playtime. She also loves to play with another of our young, high energy dogs, so we think she's make a great playmate for a dog her size and close to her age. We aren't sure about cats, but she's very high energy, so it's likely that she's want to chase a cat. If you can give beautiful Arya a loving home, please fill out our online applicationto get the approval process started. We will only schedule meet and greets with an approved application. All staff members are volunteers and are not compensated for their time and expenses. Many juggle family and full-time careers while volunteering at Saving Paws. Please be patient, as sometimes it takes up to 5 days to process an application..